An extensive Library of Scottish titles of general interest is held in The Court at The Gothenburg for consultation there but not for lending. The Baron Court is also actively engaged in publishing works by members of the Household and their colleagues on 21st Century issues as well as on the history of Prestonpans. The titles currently in print are shown below and may be ordered by fax or mail on the order form below with credit card or cheque settlement in advance only. They are also on direct sale at the Gothenburg - phone: (44) (0)1875 819922 Fax: (44) (0)1875 819911. For information and links for these titles please scan down the page here for the reference number(s) you require. B100: Cleaning Up by Dr Julian Wills, Baron of Dolphinstoun (1999) ISBN 0 86176 648 2 Reports research into the dynamics of land remediation after industrial pollution and the evolution of remedial techniques. (250 pp) ?0/$US35 plus postage and packing ?.50/$US4. B101: e.volution by Bev Bruce, Mike Cross, Timmie Duncan, Clive Hoey and Mathew Wills Yr of Prestoungrange (2000) ISBN 0 86176 652 0 Describes anticipatory action learning that enabled a traditional academic publisher to metamorphose for the Internet (346 pp) ?0/$US35 plus postage and packing ?.50/$US4. B102: e-Postcards from the other side by Dr Gordon Prestoungrange, Baron of Prestoungrange (2000) ISBN 0 86176 654 7 Forty contemporary anthropological insights into traditional academic culture at the dawn of the Internet age for education (100 pp) ?8/$US30 plus postage and packing ?.50/$US4. The first of three autobiographical volumes describing the Business School movement in Britain to 1976. B105: The Wills Report - Creating Wealth through Management Development, by Gordon Wills The second of the autobiographical volumes describing the challenges of British management education 1977-1988. The third volume of autobiographical reminisence concluding in 2002.
by George Korey Dr George Korey was founder in Toronto of The Canadian School of Management and its President from 1976 - 1998 when Prestoungrnage took on that role. This is his memoirs beginning with World War II in Poland. 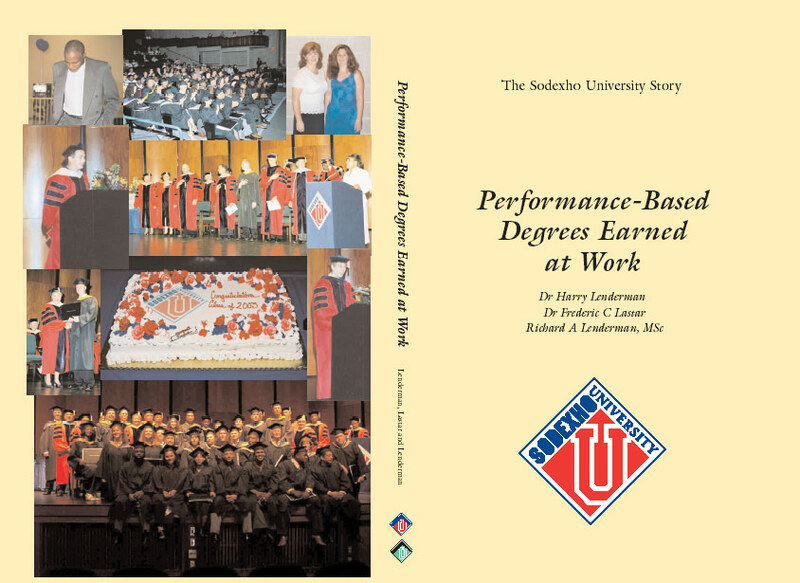 Fascineting testimonies of the action learning of management at Sodexho Corporate University in the USA. Interpretation of the "Savings Clause"
(reprinted 2002) A collection of memories from panners about Prestonpans (87 pp) ?0/$US15 plus postage and packing ?.50/$US4. is available on-line Index Page The original collection of memories from Panners. The classic work detailing the history of the area. It is available on-line Index Page A critical analysis of The Gothenburg movement that questions how socially inspired they really were. It is available on-line Index Page Perhaps the first example of the institution a Gothenburg pub can make to its community over a century. Domesday Entry in Latin and Translation as shown below. Copies of both are held at The Manor House for the whole of Northamptonshire. The Tom Tait story was written by Jim Forster as his entry to the Prestonpans Local History Week's Memoirs competition. Tells the story of The Church acron 400 years since its establishment by the turbialent Rev John Davidson in 1595, and is beautifully illustrated. Produced in 1928 for her final year project as a pupil at Preston Lodge School, she compiled this splendid set of paintings, together with a brief history of the town's landmarks. This handbook was written for those who join a BrewSet at The Prestoungrange Gothenburg to help brew Fowler's Real Ales and earn their Fellowship Certificate. It describes the processes involved and hand an excellent Glossary of Terms. Recreates The Assize of 1678 at which the then Baron of Prestoungrange, Sir Alexander Morrison, presided to try Agnes Kelly and Marjorie Anderson, both accused of Witchcraft. With evidence from the Minister of Prestonpans Kirk, a witch pricker and sundry indwellers, they were both found guilty in a travesty of justice and executed. Is available on line here. The First of The Prestonpans Witch Trilogy of Plays created in Remembrance of the 81 people so wrongfully put to death in Prestonpans and Pardoned by the Barons Courts July 27th 2004. Scottish Pottery Studies is the name of a series of booklets, the aim of each being to examine some specific aspect of Scottish Pottery history. Off the Wall Art is a manifesto for history and the arts beyond the acclaimed mural painting in Prestonpans. It is a manifesto for what the arts ��off the wall�� can and are doing in Prestonpans. The last of three plays written as a permanent tribute and reminder of the 81 individuals convicted, but since pardoned, of witchcraft in Prestonpans. A novel from Cuthill Press by Gordon Prestoungrange, Baron of Prestoungrange, that explores the life of William Grant in 1745/ 1764 and all that has since transpired at Prestoungrange - September 2009. "Up, stay the pleugh, and let us kill a mouse, I and the Bailie must have one carouse"
Click here to read extract on line concerning Prestonpans. Tales of the work of myriad potteries in the area over the centuries. Click here to read the extract. Tells of the heioism and chivalry of the Battle at Prestonpans. Click here to read the extract. Tells of Sir Walter Scott's visits to Prestonpans. Click here to read the extract. Tells the details of the Battle of Prestonpans. Click here to read the extract. Tells of the fate of the Thorntree where Colonel Gardiner was imortally wounded at the Battle of Prestonpans. Click here to read the extract. These are the oldest Minute Books of any Lodge in the world. Part four Doddridge, P., 1747, Some Remarkable Passages in the Life of the Hon. Col. J Gardiner, who was Slain at the Battle of Preston-pans, September 21st 1745, New Edition 1807, Brightly & Kinnerley, Bungay. P1: Three Prestoungrange Paintings - Limited Edition Reproductions (un- framed) of Janice McNab's works, ?0/$US140 postage and packing included. (4 of each) ?/$US15 postage and packing included. (10 of each) ?5/$US25 postage and packing included. To view and print PDF files you will require the free Adobe Acrobat Reader plugin. If you do not have Adobe Acrobat Reader, please Click Here to download it. After you have downloaded the Adobe Acrobat Reader onto your computer you will need to install the programme before you can view any documents.